The Detroit Steamer initially appeared as the Trask-Detroit. Very few of these touring cars were actually built. All of them had a 2-cylinder engine of their own design. A handful of prototype models carrying the Windsor name were also built for the company's projected sales in Canada. This article appeared in the July 1922 issue of Motor Magazine, p. 45. John A. Conde Collection. The National Automobile Chamber of Commerce collected data on American automobile companies. This is the 1923 report for 1922. The Company listed itself as experimental but expected to produce 300 cars in 1923. Courtesy: Detroit Public Library, National Automotive History Collection. 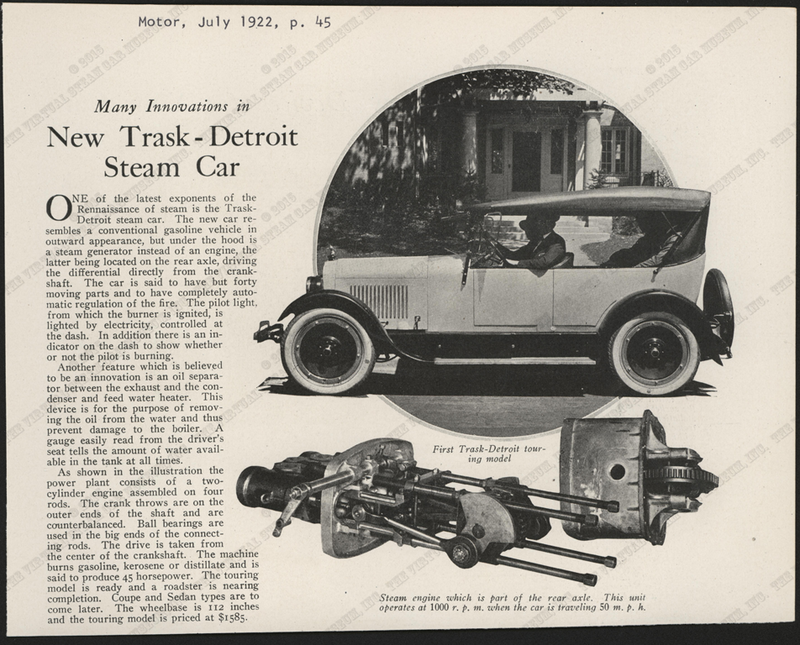 This four-page, bi-fold brochure touts the Trask-Detroit Steamer, built by the Detroit Steam Motor Corporation, probably published in 1922. John A. Conde Collection. 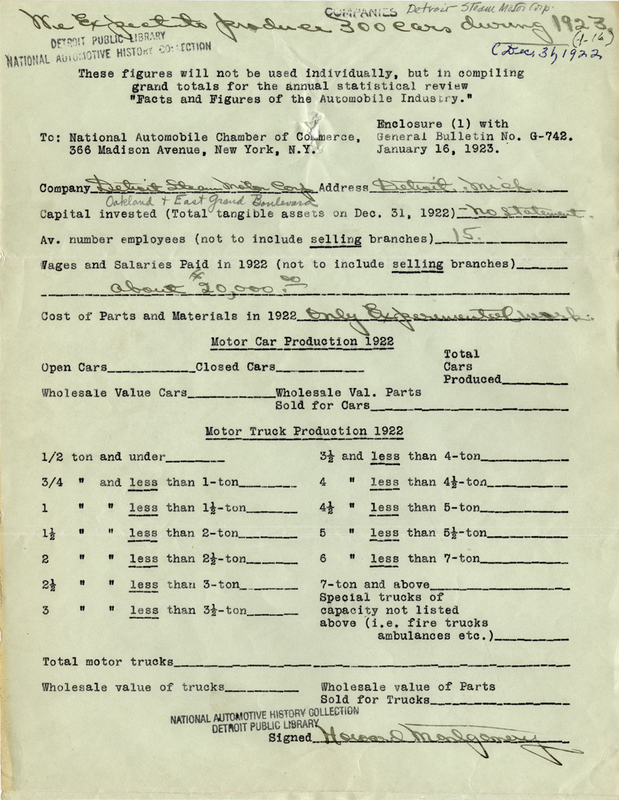 Trask-Detroit Steam Car, John Conde's File Folder. John A. Conde Collection. Georgano, G. N., Encyclopedia of American Automobile, (New York, E. P. Dutton & Co., 1968), p. 60.